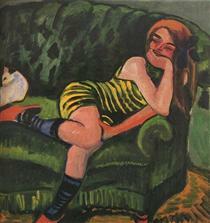 Pechstein was born in Zwickau, the son of a craftsman who worked in a textile mill. 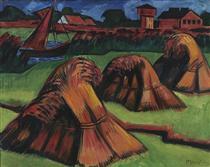 Early contact with the art of Vincent van Gogh stimulated Pechstein's development toward expressionism. 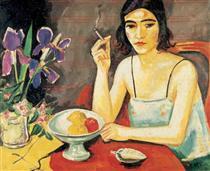 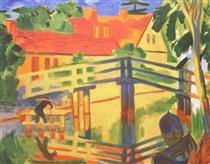 After studying art first at the School of Applied Arts and then at the Royal Art Academy in Dresden, Pechstein met Erich Heckel and joined the art group Die Brücke in 1906. 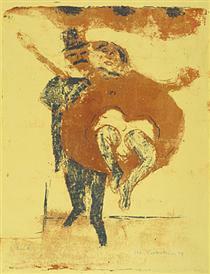 He was the only member to have formal art training. 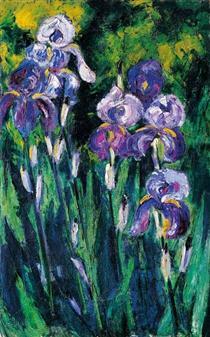 Later in Berlin, he helped to found the Neue Sezession and gained recognition for his decorative and colorful paintings that were lent from the ideas of Van Gogh, Matisse, and the Fauves. 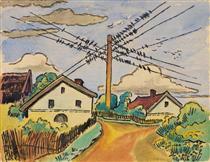 His paintings eventually became more primitivist, incorporating thick black lines and angular figures. 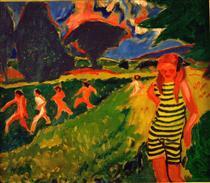 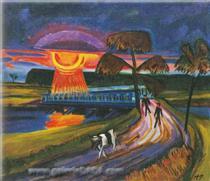 Beginning in 1933, Pechstein was vilified by the Nazis because of his art. 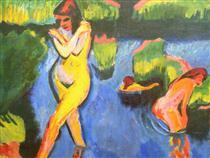 A total of 326 of his paintings were removed from German museums. 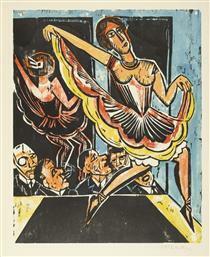 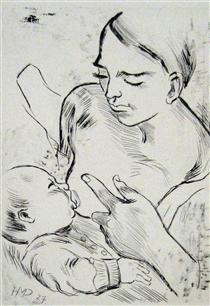 Sixteen of his works were displayed in the Entartete Kunst (Degenerate Art) exhibition of 1937. 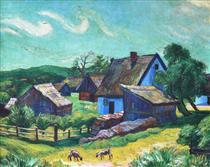 During this time, Pechstein went into seclusion in rural Pomerania. 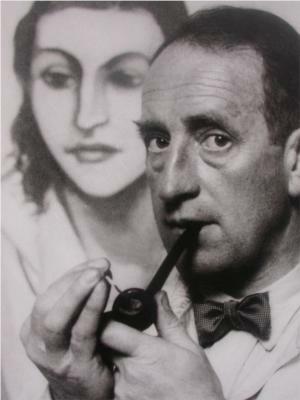 He died in West Berlin. 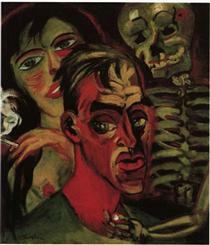 He is buried on the Evangelischer Friedhof Alt-Schmargendorf in Berlin. 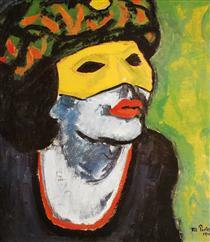 At a 1999 Sotheby's auction, The Yellow Mask I (1910), the portrait of a woman wearing a yellow mask, was sold for $1.37 million. 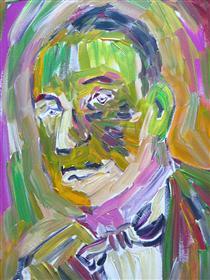 In 2008, Zirkus mit Dromedaren (ca. 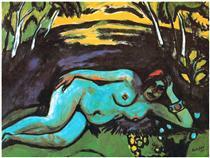 1920) was auctioned for £1.9 million in London. 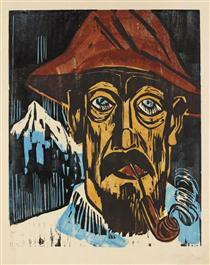 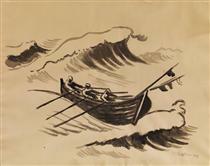 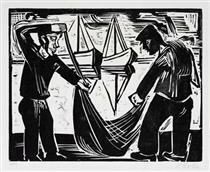 unknown title Max Pechstein ?